This is a book that is supposed to pave the way for Star Wars: The Last Jedi. If you haven’t yet seen the movie, I’m going to be spoiler-free as much as possible. 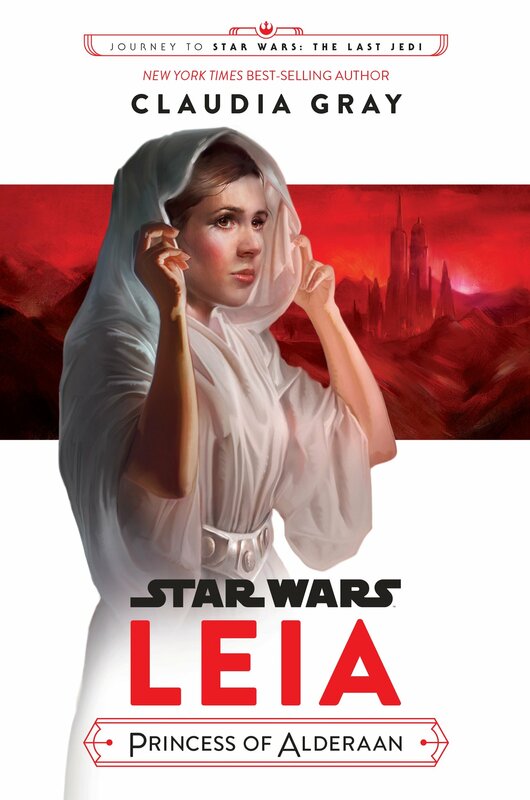 Leia is a princess of Alderaan, and she realizes she’s more and more alone as she gets older. Her parents are busy with their social life, so it’s imperative to her that she makes her three declarations (mind, body, and heart) on her Day of Demand really matter. This means that, once she finishes these tasks, she’ll be well on her way to claiming the throne when it is time. She sets herself up to work hard by setting tasks that will challenge her and help others. She will be taking humanitarian missions (on her own dime), working with the junior senate and then pathfinding. The missions begin to take on a more imperative turn, as Leia’s life is in danger. As well as the lives of people fighting in the Resistance. She’s not sure about next steps, she just knows she has to take whatever steps necessary to insure the lives of the people fighting hardest are not in danger. And she’s not sure if she should tell her parents about the kinds of danger she’s facing. But when she starts getting too close to a few people, she realizes that no matter what the costs, she must be a strong leader to survive. I LOVED this book way more than I anticipated. It was full of easter eggs (from the entirety of the series, as well as from Narnia, according to author Claudia Gray) and thoughtfully placed Leia in the position of that awkward time when you are too old to be a child, but too young to be an adult. It’s a great introduction to her character, and seeing her parents makes the adult Leia all the more understandable. Additionally, there are some characters from all of the trilogies–including a character featured in The Last Jedi!